Google released their newest laptop – Google’s New Chromebook Pixel. 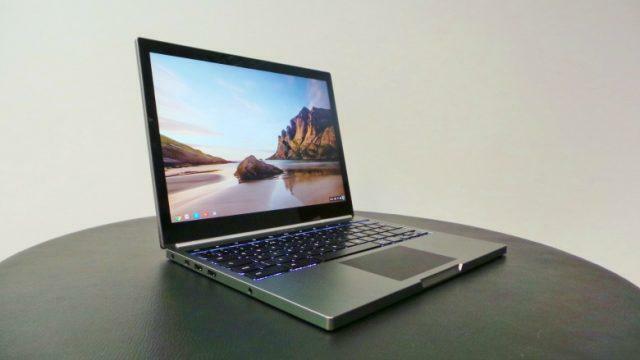 Google’s New Chromebook Pixel features improved battery life for up to 12 hours when fully juiced up, and two hours of use on a 15-minute charge. It also comes with a 2560 x 1700 high touchscreen, 8GB of RAM and a 5th gen Intel Core i5 processor. The newest addition to the laptop is the inclusion of USB-C which enables the user to charge and transfer data from the same port. “I think the real innovation that debuting here is the idea of universal charging. No one wants to carry around different types of chargers every day”, said by Andrew Bowers – Google’s director of consumer hardware. The new Pixel also offers a touch-enabled, high-resolution display and the screen shows more vibrant colors because of improved sRGB color gamut. Previous articlePLDT, Smart Communications Inc., and Sun Cellular lead the postpaid market.